Authentic Self or Midlife Crisis? James Hollis and Jungian psychology advocates the individual at midlife find their authentic self and recover the life you are meant to be living. Indeed, by staying with your family and friends and not fulfilling your true potential you are doing your children and spouse a disservice. My soon to be ex-husband has used these compelling arguments to leave me and my two children and blame me for everything that has gone wrong in his life so far. He is now living a full and happy life with his personal assistant who is 13 years younger and is cutting financial support to me and our children. If this is his true authentic self, how can I Stand for my marriage? How can I ever compete with that? Let me first ask you a question. Do you think this is the true and authentic self he is meant to become? That is rhetorical in that you do not have to tell me why, but consider it non-rhetorical for yourself—if you believe him, tell yourself why. His argument is not at all compelling—you can give that as a Truth Dart. He is trying to tell you that he is following his bliss which is another phrase we can use to mean authentic self, but let me ask all of you a few things about that. Others are damaged in such an overt manner—regardless of whether the damage is intentional? Personal responsibility is projected outward rather than inwardly accepted? You cutoff financial support to your children (who are not adults and still need more direct parental guidance)? He’s using being his authentic self as an excuse and at this point in an MLC he likely believes his excuse. If you show that you find this argument compelling, you continue to enable his belief in it as well. Instead do something like laugh at the absurdity of it–fake the laugh ’til you make it. Following one’s bliss is also not about projecting blame onto others; self-reflection is a requirement and if the person is not being self-reflective; they are being misled about this path being their bliss or authentic self. What does it Mean to Become Your Authentic Self? …if you do follow your bliss you put yourself on a kind of track that has been there all the while, waiting for you, and the life that you ought to be living is the one you are living. When you can see that, you begin to meet people who are in your field of bliss, and they open doors to you. I say, follow your bliss and don’t be afraid, and doors will open where you didn’t know they were going to be. Yet it is important to note that following one’s bliss, as Campbell saw it, isn’t merely a matter of doing whatever you like, and certainly not doing simply as you are told. It is a matter of identifying that pursuit which you are truly passionate about and attempting to give yourself absolutely to it. In so doing, you will find your fullest potential and serve your community to the greatest possible extent. I believe quite strongly in following one’s bliss, but it is a misunderstood directive that is commonly abused by MLCers and others. Following Bliss is not something a person does against another, but it is true that a person can follow their bliss and others left in their wake may be hurt. This is because sometimes change hurts even when there are no intentions to bring pain. Did every romantically intimate relationship you ever had last until death? Many of you reading this had boyfriends or girlfriends before the person you married and you may have been the initiator in ending some of those relationships. Both you and your former partner may have felt pain or chosen to feel hurt and even wronged, but this does not mean those feelings were how you wanted them or they wanted you to feel; it does not mean the feelings were created by the other person. I imagine that Thomas Jefferson’s words about the pursuit of happiness are something that may have become ingrained in Western Culture in general rather than simply American culture. The authentic Self or following bliss or choosing joy are not the same as pursuing happiness which is fleeting and not based on something outside of personal control—which is where happiness is based since the word is derived from chance or luck. The authentic self demands self-reflection. It requires that a person be able to critique their Self. MLCers are often self-critical, but in a manner that is based on guilt and shame which is enabling their compulsion to Escape & Avoid. Authentic self-criticism does not deny or flinch at the negative stuff—we’ve all got some—rather it accepts the Shadow or darkness as a part and by-product of being light. It seeks to make amends for wrongs done to others and heal the pieces of Self that led them to committing those wrongs so that they do not continue to commit them. The authentic self does not simply accept that this is the way I am, so get used to it. Rather it seeks to heal in order to change and includes remorse rather than mere regret for harm done to others. A person who feels remorse for actions that harmed others is strongly motivated to not repeat those actions because remorse hurts because it empathizes. In the Harry Potter series J.K. Rowling said that it can be so painful that a person can die from it; remorse was the only way to repair a broken soul. I understand the painful part, but dying from it seems more like a reaction of guilt because in dying under such a circumstance the person is escaping their feelings and the pain. Remorse motivates positive change because to repair a broken soul the person needs to attempt to repair the damage done to others as well. Where in your MLCers claim that this is his authentic self is their insight into the pain he has caused and perhaps more importantly, is continuing to cause others? Where is empathy? We all have potential to abandon and harm others, but is the true potential of one’s authentic self—is it what they are meant to become? MLCers feel great when in in-fatuation, so great that it can be easy to see how they might see this as the song of bliss rather than a tune played by the pied piper. They may be so caught up in the feel-good hormones that they are blind to the pain their actions are bringing others. When those others attempt to bring reality to the MLCer’s attention, the MLCer thinks it is because of jealousy or because the injured party is trying to be an obstacle on their path. Your job is to take a step back and look at this more objectively than an MLCer is able. Do they seem happy like someone on an addictive high—superficially happy? Or do they seem to be overflowing with joy and enthusiasm—a word which literally is a feeling of divine inspiration or possession—to be filled with God? Maybe you cannot tell the difference—that is understandable. Go through this checklist. Do they exhibit the ability to empathize? Do they seem to care if others are hurt by their actions? Do they recognize when others are hurt by their actions? And then do they even realize or acknowledge others are being hurt by their actions? Do they exhibit the ability to feel remorse? Do they accept personal responsibility for their transgressions? Do they even recognize that they have transgressions? Personality Disorder or Midlife Crisis? Too Young for a Midlife Crisis? I always get a new article at the right moment; at the moments that I doubt. I'm already standing for more than four years, thanks to you I understand his crisis, I grow, I do self-reflection, I enjoy the little things in life, I STAND,… but just when I miss my husband and our three kids the most (we live seperately, not divorced) I got a mail from you. It feels good that someone understands me, because a real midlife crisis is hard to explain to others. THANK YOU VERRY MUCH. So are you saying it is possible that a MLCer could be really pursuing his true self? I was with you, until you talked about sometimes someone can be pursuing their true self and others are left behind and hurt, because change hurts. As if that's legitimate. I ask, because my husband left after 30 years. He said all those things, about being becoming his true self that he felt he never was able to, before. He now lives with a woman who is career obsessed, like he is. They are very much into self help, motivational speaking, etc. they want to change the world. He had never asked me to go to counseling, never told me he was unhappy, or anything. He just had an affair, and told me he had been unhappy for years. ( the woman he is with now is not the same woman) I was shocked, and 4 years later, still am. He does seem to self reflect, but rarely takes any blame. He says we just don't have " synergy". He doesn't seem to understand why me and our kids are heartbroken. He seems disconnected from our lives and memories. He is numb to it all. At times he seems to care about me, or even miss me. ( he just bought me over 100 dollars worth of birthday gifts). But Sometimes he appears at peace, and sometimes he seems sad or stressed. Anyway, I continue to pray for him and am standing until God tells me to stop. I just wanted to ask if you really feel a man is pursuing his true self, or bliss, by leaving his wife of 30 years. Couldn't he do that with me?? It sounds like he is TRYING to pursue his authentic self, but he took a wrong turn. Sure, some (not all), MLCers genuinely believe they are following their bliss–others know they are using that as an excuse. But what those who truly believe don't realize is that they are being misguided. As for my comment about change hurting and someone who is on an authentic path of bliss may still hurt others–though with less deliberation or intention, think of a situation more removed from that we speak of here. Think about a young couple in college who have been dating for 6 years–since high school. They then break up and the split is unilateral. This feels devastating–and for many just as devastating is it has felt for us when it happens in our longer and more mature marriages, but maybe the relationship was not ready for the next stages, maybe each individual had different paths–though they may not be aware, maybe one or both were sacrificing too much of their dream self in order to be in the relationship and make it permanent. But when one of those young lovers breaks up–even nicely–with the other, there is hurt. For another example consider Dolly Parton. She wrote "I Will Always Love You" for Porter Wagoner when she was splitting from their professional partnership. Was he hurt? I don't know. Did he hurt even if he did not take it personally, maybe. Was Dolly Parton wrong for splitting from him if he was hurt? Sometimes we end one thing so that we can progress and start something more beautiful or so that we can come into our next path of beauty–which is not more than the previous, but in tune with the present life path. Thanks for your reply. I guess I just see those examples as completely different than a marriage. I think it's sin and selfishness, not true self. What life could be " beautiful" if it involves walking out on a wife who loves you, breaking your kids' hearts and going against God's word. I just don't ever see that as ok. I can't believe they will find peace and joy. Why would leaving your spouse result in finding a beautiful life? I believe that's what he thinks. I just see nothing beautiful in that. I don't believe God will bless that. Those examples are completely different, that is why I made them. I wanted examples that could be vied more subjectively. So when I was talking about others getting hurt when someone pursues their true self I was speaking globally and not only of left behind spouses. I agree with you Lisa. In a marriage there are vowels ( for better for worse till death do us part), it is a covenant not a contract. A covenant with God, it is not to be broken. It is totally selfish to leave a wife and children to pursue your own self gratification. You not only are in a covenant with God and your wife but you have brought children into the world and you now owe it to them to get happy and make that marriage work. 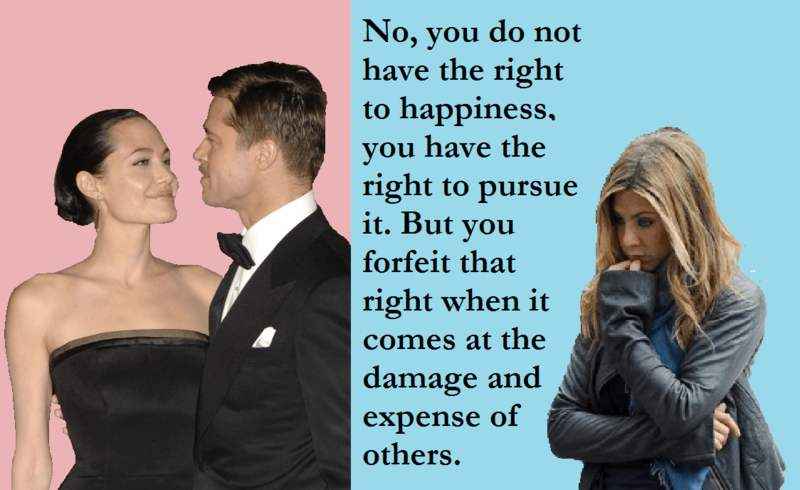 You put your happiness above your wife and children. What kind of parent puts their happiness above their childrens. Hi an interesting read – the bullet points at the end though I'm not sure which way to take them . My h says he knows he is hurting his family but still has to escape and start afresh – at times of crying he shows remorse by saying he wishes he could change things but he can't he has chosen a path but can't go back. He told his sister everything was his fault – again in an emotional state – but when he is not emotional he continues to blame me – his job – his life – his children and needs to escape from it all and go to ow – is this normal mlc then as my counsellor says it is ? He is not yet showing remorse–what you are seeing is more likely to be shame and guilt. Recognizing that what you are doing hurts others does not make it remorse. After 30 years he seemed to have a personality change of dressing like our sons – hating looking in mirrors- depressed about his age – fearing death- wanted to change his life completely – left home children family job to live with ow – ex girlfriend of years ago. Gave her a substantial sum of money ad felt like a superhero. There is a vast difference between a long relationship and marriage covenant. Our spouse’s are blinded by Satan, therefore the grass looks green. If God did not build the house,they are building in vain. In Gods time He will uproot that non covenant relationship, even if it leads to marriage. Keep standing and trusting God. God hates divorce. Let no man take asunder what God has joined together. I am waiting for six years. Abraham waited longer on Isaac. We must grow and trust Him for restoration. He will keep His promises.